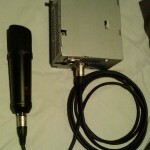 Here’s how to turn a $35 chinese large diaphragm condenser microphone into a high quality tube microphone. The result may not sound like a $10.000 U47, but it should be comparable to products in the $1.000 range. 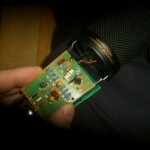 I based the mod on an MXL 2001 mic, but it can be applied to a lot of cheap microphones with good results. This mic uses a capsule (diaphragm) that is copied from the Neumann KK67/87 capsule, which was used in the Neumann U-67, U-87, SM-69 and M-269. And it is a pretty decent copy, it sounds very good! 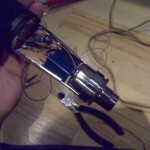 The head amplifier is where the problems start in this mic. 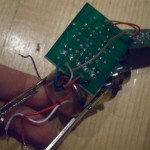 The original circuit is not horribly bad, but it could be better. 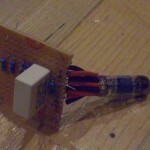 The circuit I built is similar to what is found in the Neumann U47, but modified to match the impedance of the capsule. As the tube in the U47 is very rare, it has been replaced by a more common 5840, which is electrically similar to the AC701K tube used in the Neumann M-49. I ended up using a 6205, which is a very similar tube. 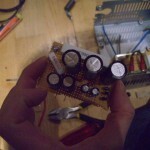 It’s said to have less noise and higher shock tolerance, and it has a slightly different pinout compared to the 5840. The output transformer in the MXL 2001 is horrible, replacing this attributes to probably 50% of the improvement in sound quality. Replaced it with a Jensen DB/E. 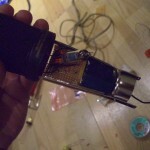 The tube requires about 100V DC to operate, and the 48V phantom power is far from sufficient. I built the power supply into the case of an old AT computer power supply. 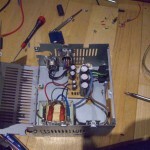 Keeping the power supply away from the head amp circuit is not only important due to size limitations within the mic, it is also crucial for eliminating noise. 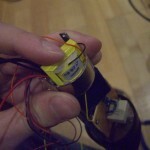 Like most cheap LDC’s, this mic has too many layers of mesh obstructing the capsule. 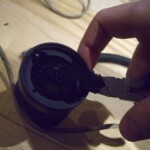 Manufacturers do this to protect the capsule, at the expense of sound quality. I got rid of one layer as a start, but should really get rid of one more.